By 2017, if everything goes to plan, spanning the River Thames you will see a new 370-metre-long lush garden, a unique green space packed with trees, wildflowers, plants and woodland. There will be no traffic, just birdsong and the steady sound of the water rushing below. London is not without its parks, gardens and open spaces (indeed, it has many, all beautiful), but the Garden Bridge project is something completely new for the capital in terms of scope and scale. 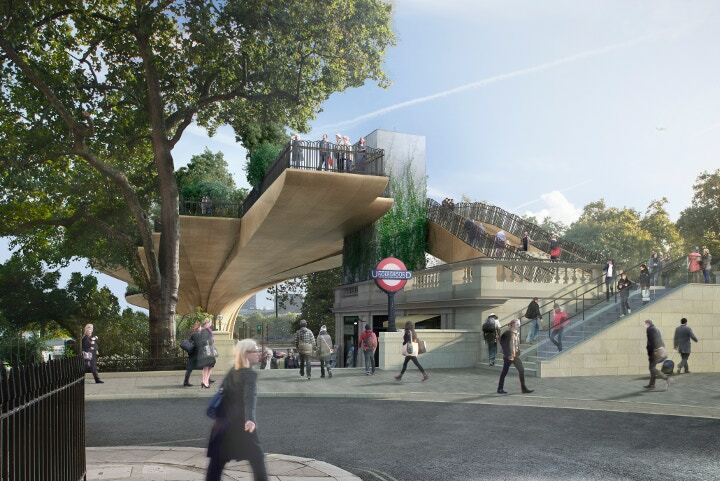 The two-pier, £150 million structure will be designed by Thomas Heatherwick (he of London 2012 Olympic cauldron and new Routemaster bus fame), with the vegetation to be chosen by gardener Dan Pearson. But the idea is the brainchild of actor and campaigner Joanna Lumley, who first struck upon the idea 15 years ago. 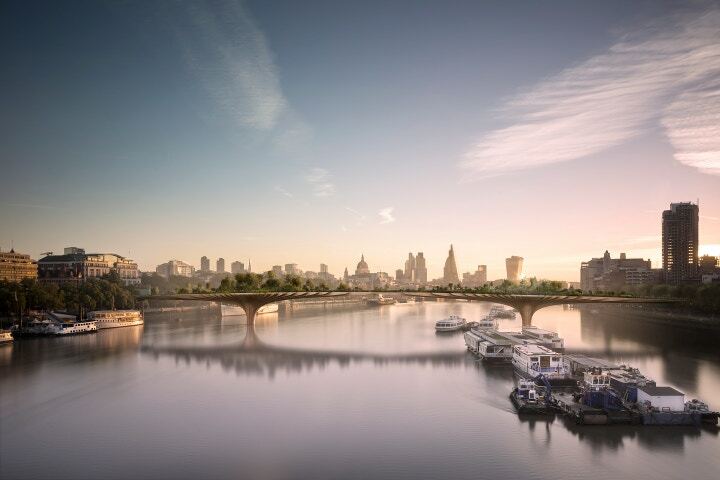 Garden Bridge, being seen by many as an answer to New York’s stunning High Line project, is designed to connect north and south London and breathe new creative life into the north bank area east of Somerset House and Waterloo Bridge. The structure, which if built would itself be a piece of public art, will be a fertile, car-less space for pedestrians and commuters, integrating a new kind of public space straight into the fabric of the city. While the proposed bridge is not without its critics, the government has pledged £30 million towards the structure (it is hoped the rest will come from private investment) and say it will bring in many new visitors to London. Not to mention creative and artistic inspiration and development. If cities are defined by their frenzied-ness, their busyness and their all-round hubbub of life, it is interesting how many of them feature the peace and quiet of the natural world. 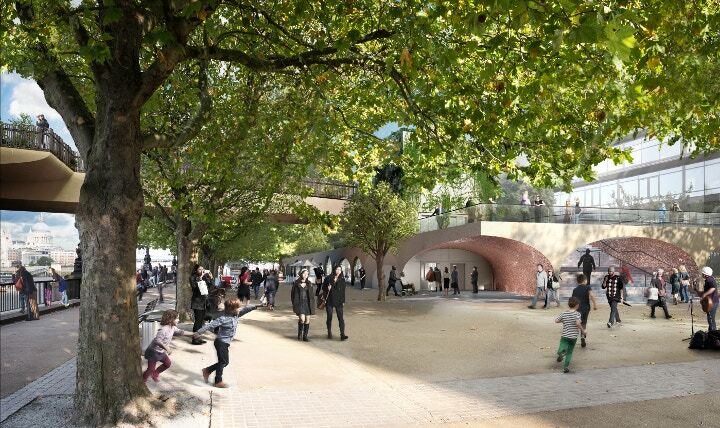 This major new public space and garden will give artists brand-new cityscapes to draw ideas from, pedestrians will enjoy solace and calm away from the rush of the city, a whole new cultural area could spring up around Temple to rival the South Bank. What new spaces and projects will we see? What new collaborations, ideas and partnerships? Walking along Garden Bridge will not be a mere amble through a quaint green space but part of a wider journey through life. The Government and Transport for London have both pledged £30 million to the Garden Bridge. Work on the crossing could start next year with the bridge open by 2017.